College Ave Student Loans products are flexible private student loan options for qualified students and their families. Our goal is to bring customer-focus, savings, and a better experience to the private student loan industry. CommonBond is a leading values-driven, customer-centric financial services company and provider of private student loans. 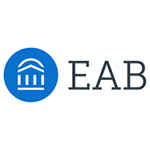 Founded in 2011 by three Wharton MBA students as an education lending company, our goal is to make education finance better. Through CommonBond, our members gain access to a robust suite of low fixed and variable rate student loan products. Students choose CommonBond due to our best-in-class customer service, a greater diversity of low interest rate products and the social mission of our business (what we call our "Social Promise"). We firmly believe that business can and should be a positive force for change. By empowering our students to become Social Promise champions, we hope to make an exponential difference. McClintock & Associates is the market leader in building customized consultative solutions for postsecondary institutions, backed by a senior leadership team with deep, comprehensive experience in this unique industry. We offer a broad range of financial services, with a specialty in student financial aid, financial statement, and 401(k) audits. We also provide consulting services in complex areas such as Title IV compliance, mergers and acquisitions due diligence, accounting research, and tax related issues. We are trusted advisors, industry experts, and problem solvers. We Make Financial Aid #Awesome.SM CampusLogic transforms the way colleges and universities deliver financial aid—with the first and only student financial services platform. Our cloud-based technology simplifies the entire process, so more students can get through your door and into the classroom. Easy. Mobile. Personalized. Plus, powerful data and metrics ride alongside to help you make informed, strategic decisions about financial aid practices and future enrollment. Today, more than 450 institutions—serving 3 million students—enjoy improved enrollment, efficiencies, student engagement, and overall satisfaction. For more information, please visit campuslogic.com. 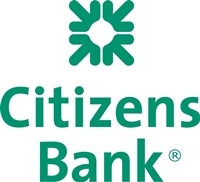 Citizens Bank, one of the nation's oldest and largest financial institutions, offers students and families' private student loans intended to bridge the gap after grants, scholarships and federal loan options. Our Citizens Bank Student Loans are school-certified and offer no application, origination or disbursement fees to all borrowers, and numerous other benefits. Our new Citizens Bank Student Loan™ for Parents has low fixed rates and gives parents or other student sponsors the ability to borrow to finance a student's education without adding to the student's debt burden. We partner with colleges and universities to provide a seamless and cost-effective communications platform to better handle issues related to administrative services, including admissions, registration, financial aid, business office and housing. Wherever you face resource challenges in serving your students, CMD can help. Discover Student Loans provides private student loans for college and graduate school as well as post-graduate loans for students studying for the bar exam or entering a residency. All loans feature fixed or variable interest rates, no fees required, choice of in-school or deferred repayment, and loans for college and graduate school include cash rewards for good grades. US-based Student Loan Specialists are here to help your students, and Priority Services provides personal support for financial aid offices. We believe in responsible borrowing and encourage students to maximize grants, scholarships and other free financial aid before taking student loans. Today's students are discerning consumers, and financial aid plays an important role in both college choice and student perception of value. Our Financial Aid Optimization program helps enrollment leaders maximize aid dollars to more effectively recruit and retain right-fit students. FAS, headquartered in Atlanta, begins its 25th Anniversary! For a quarter of a century, we have been providing consulting, staffing, and processing services to assist institutions in improving efficiency, enrollment management, student satisfaction, and compliance in the area of financial aid. Our 76 staff average 26 years of experience. Colleges partner with FATV to efficiently answer financial aid and student service questions in ways students like – through a conversational self-service chatbot and short video explainers. Students are provided with immediate and consistent answers 24/7/365, making the topics easy to understand, and reducing demands on staff. Sallie Mae is the nation's saving, planning, and paying for college company. Whether college is a long way off or just around the corner, Sallie Mae offers products that promote responsible personal finance, including private student and parent loans, Upromise rewards, scholarship search, college financial planning tools, and online retail banking. Learn more at SallieMae.com. Third Coast Higher Education provides financial aid consultation and services in state and federal compliance assessment, financial aid systems utilization, business process analysis, training and interim staffing. With more than 40 years of experience, Third Coast brings diverse and expansive knowledge of financial aid to a distinctive number of clients. Trimdata Corp offers FA~Link; a real-time interface between Ellucian's student systems (Colleague and Banner) and the campus stores. Our interface allows students to use FA, Sponsorships and other funds easily and directly at the bookstore POS or at the on-line webseller. Charges are authorized and invoices created in real-time. Improves student service. Home Grown batch files, vouchers, and manual processes are eliminated. Most book seller systems are supported. NASFAA's team of expert financial aid administrators is available to perform confidential, customized reviews of every aspect of your student aid operations. SOE reviews evaluate regulatory compliance, customer service, technology use, eligibility issues, and more. Using in-depth, cross-departmental analyses, we assess strengths, identify risks, and recommend sound, workable solutions. Our CI Assessment is an institution-wide analysis targeting 19 critical federal consumer information disclosure and reporting areas. CI Assessments deliver a clear, detailed action plan to help you quickly implement any needed changes. Included with every SOE Review, the CI Assessment is also available as a concise, cost-effective, stand-alone review.